It can be quite an adventure helping our Summer Cadets discover the wonders of God's universe. They'll become Voyagers on a journey through space, exploring where God's power can take them. Beginning in your Assembly area - an outpost on Mars - they'll be assigned to special missions to distant planets to collect power sources. Along the way, they'll learn how God walked with different heroes of The Bible, and that God is always with them, too. Add to the adventure with out-of-this-world fun, learning, and timeless Bible stories that inspire the Cadets about God, who is able to do far beyond all that we could ask or imagine! 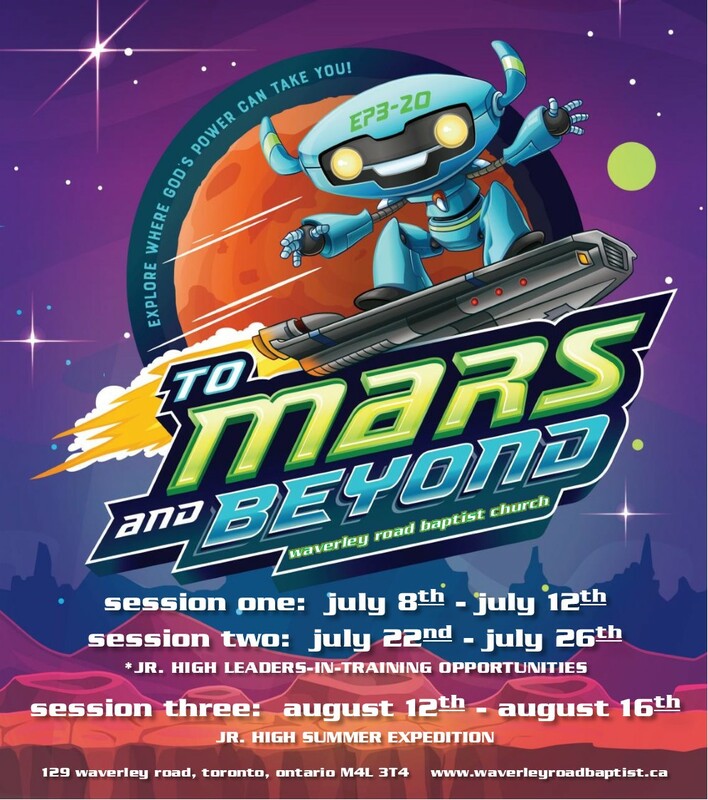 Please Note: Session Three (August 12th-16th) will be a Jr. High Summer Expedition Camp (Grades 5-8 as of September 1st, 2019). For Sessions One & Two, Students going into Grades 6-8 may apply to serve as Leaders-In-Training through the Registration Form process. Confirmation of acceptance as LIT's will be sent by Friday, April 26th, 2019. Registration will begin Friday, April 5th, 2019.